“Can I survive this barrage of incoming laser fire?” That is a very important question in BattleTech. But “Can I survive this month’s financials?” is an even more important question. 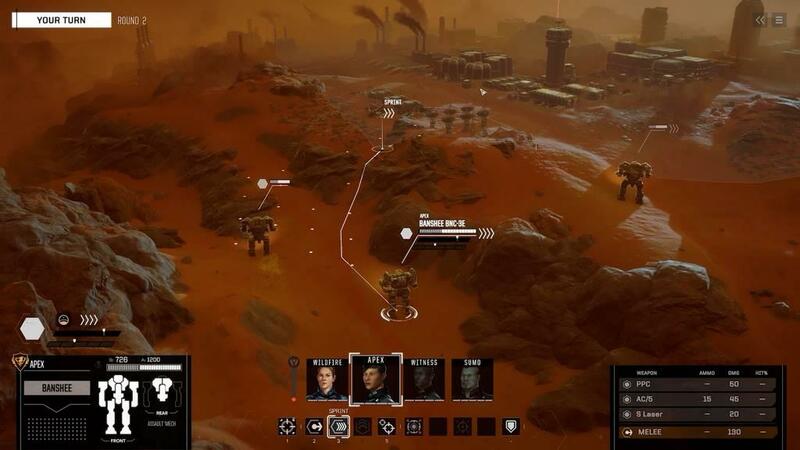 BattleTech puts you in command of a small group of mercenaries. 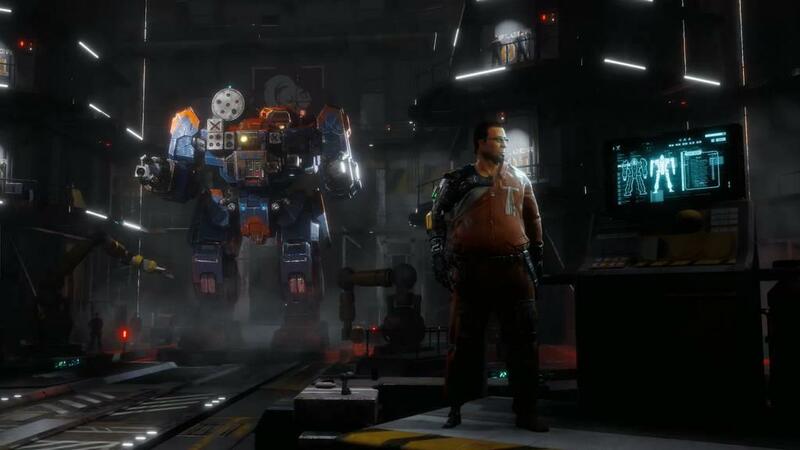 They’re freelancers, living hand to mouth, scraping together contracts across the BattleTech universe—eating, sleeping, and breathing the MechWarrior life. 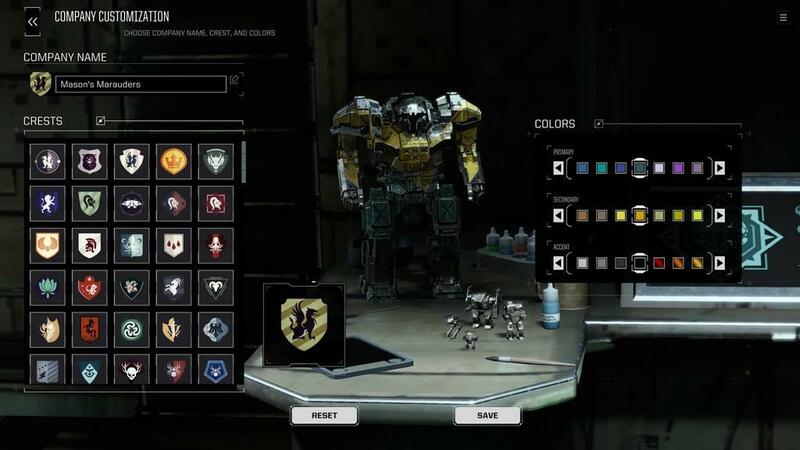 Not only does this game return BattleTech to a turn-based tabletop-like setting, it injects small-business accounting into the mix as well (wait, don’t go yet). Without explicitly planting a countdown clock on the screen, the small-business accounting stuff is what manufactures a perpetual countdown clock. It's what keeps your nose to the grind. It's why you're out here, planet hopping, taking on contracts, duking it out, and getting paid. Then you return to your hub ship so your mechs can undergo repairs and your away team can recuperate. All of this takes time and money, neither of which are in ample supply. Thus the clock. The reason you're out here. Just trying to pay the bills. I mean, what else are you going to do? 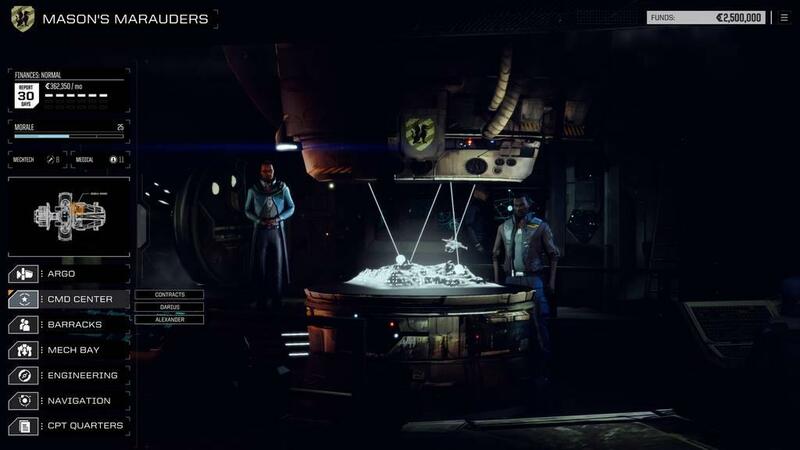 While one side of the BattleTech coin has you firing electrical heat-inducing Particle Projector Cannons at the bad guys, the other side of the coin has you balancing check sheets. You're constantly weighing necessities against luxuries, refitting and reselling, buying and salvaging, hiring and firing. You have to pit income and expenditures against things that are good for morale but bad for your bottom line. 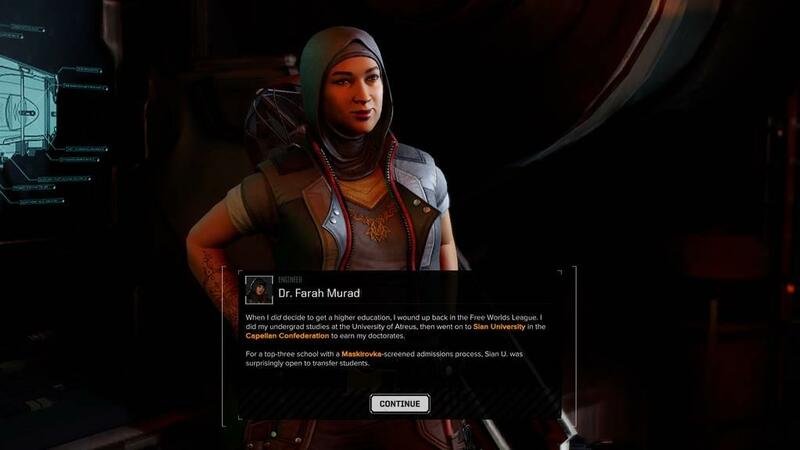 That's really the most unique prospect BattleTech brings to the table. Trust me, there are days’ worth of stomping vehicles and popping turrets, and weeks’ worth of dismantling enemy mechs across procedurally generated levels. From your cone of fire, to your upper body rotation, to maintaining mech stability, to armor damage versus internal wreckage, to called shots and pot shots, to elevation bonuses and topographical detractors, to hit percentages and missed opportunities...There's lots of time to blow stuff up. But you also have to balance the books. Thematically, BattleTech doesn’t necessarily deal in the Wild West trappings of TV shows like Firefly, but it does deal with Firefly’s need to find a crew, find a job, and keep flying. You negotiate how much salvage you’re entitled to after a fight, and you negotiate how much money you take home after mission complete. Sometimes I lower my take-home pay a notch just so I can bolster my reputation with a particular political entity. Sometimes I sacrifice some juicy salvage when I need a quick influx of cash to keep the bill collectors happy. 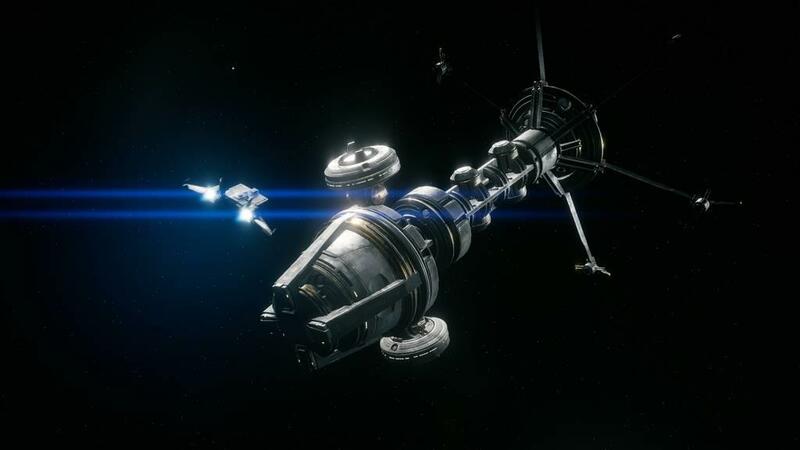 There are unusually long loading screens between the orbital map and the battlegrounds, and you can also expect to spend a long time in both. The strategic elements are full-bodied and thoroughly considered. 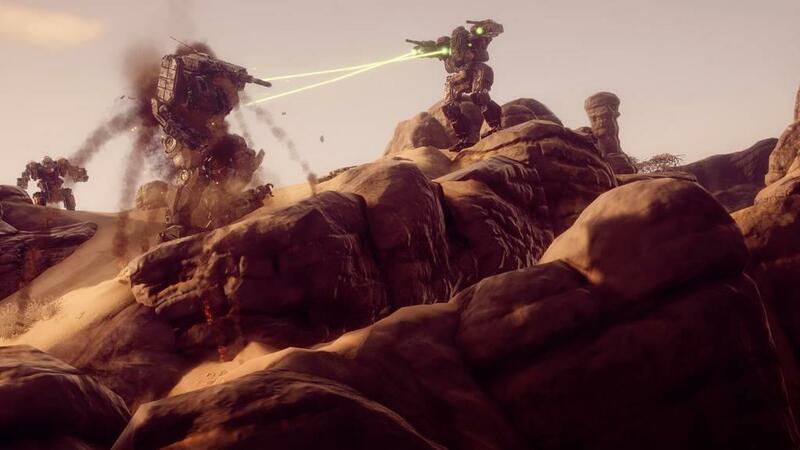 Your MechWarriors gain XP, the XP buys skills, the skills open up battlefield possibilities. Your contracts bring in salvage, the salvage is bolted onto your mechs, and yes, the salvage likewise opens up more battlefield possibilities. Your patrons hand you a paycheck, the paycheck upgrades your mobile HQ, and you guessed it, mobile HQ's upgrades open up even more battlefield possibilities. At some point, things are going to go sideways. The pre-briefing intel may be insufficient and you'll be outmanned and outgunned from the get go. Or you'll slowly get dragged by rapidly approaching lances of enemy reinforcements. Or you'll get hasty and fire off a full salvo of weaponry when you're already near the boiling point and your mech overheats and shuts down long enough for the enemy to pull off a one-percent-chance headshot to end the fight. Just as an example. There's a rote sameness to many of the vanilla jobs you pick up, but every encounter still leaves me gritting my teeth, depending on every laser, missile, and autocannon to do its job. 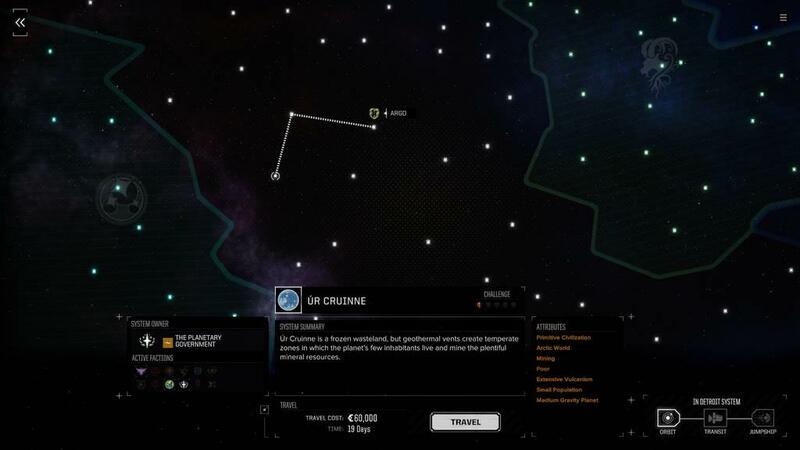 The storyline missions have more handcrafted encounters, but that doesn't mean they're nice encounters. It’s been awhile since I've explored the BattleTech universe. Decades probably. The '90s, for me, was a feverish era of D&D boxed sets and bags full of 20-sided dice. But there were some pewter mech miniatures and vinyl hexagon maps in there, too. Still, a refresher was in order. And while it all is coming back to me, I wouldn’t let the dozens of names, locations, battles, and personal histories scare you away. It’s a lot to take in at first. But it’s why BattleTech is now affectionately referred to as “Game of Thrones with giant robots.” That’s perhaps stretching it. There are hundreds of years’ worth of medieval space age lore, where MechWarriors draw up battle lines between royal households, and where lords and ladies wage war for power. I mean, sure, if Star Wars can be considered a space western, then I’ll concede that BattleTech is medieval robo knights. Your primary concern when taking on a job will be the difficulty level and the payout, but okay, you can probably select and deselect the missions you go on according to some kind of chivalric code. I’m just saying, you have options. Want to play both sides of a hot war between House Liao and the Magistracy of Canopus? By all means. Do you want to side heartily with House Marik at the exclusion of everyone else? Knock yourself out. Just know that your reputation is growing. Eventually your reputation will precede you. And when it does, you’ll feel it in your wallet—for better or for worse—when you step into the local hiring hall, or when you buy and sell in the store. Right from the beginning, I’m given a Mass Effect amount of character backstory. My family came to the Reach from [select a location]. After my 16th birthday [I was exiled/struck out on my own/family went bankrupt/etc.] It goes on. Each story-based decision affects stats, with plusses to Guts and Gunnery or Piloting and Tactics. You’ll also see how your backstory highlights a few offshoots on the dialogue tree. It won’t blow your mind, but it’ll be hard not to select a reply that speaks directly to your upbringing. This tale begins by reuniting with an old mentor, then getting on-the-job training to guard a warrior-princess on her coronation day in the Aurigan Reach. Don’t sweat it if that’s already too much to memorize. You’ll start putting names to faces soon enough. The dialogue is sometimes funny or dramatic or witty or angry or tired. Other times it's just functional. The fact that there’s this much story fitted so well into a turn-based strategy game, however, is what’s surprising. There is sufficient military drama here to keep my jaw going slack on multiple occasions. Sometimes my jaw tenses on the battlefield, though. The more stages thrown into each scenario, the more stressful it gets. Are we done yet? No? Fifteen minutes later: How about now? No? Twenty minutes later: Not looking good, how about—? No. It can take upwards of an hour to pound your way through some scenarios. Your investment of both time and money makes every smart or stupid move that much more precious. The dice sometimes roll the right way and you land that 10-percent Hail Mary. Then again, sometimes you get XCOM'd out of that 90-percent sure shot. While more than one fight hinged on those odds, I’ve always known it’s my fault if I’ve left a MechWarrior out there twisting in the wind. Though BattleTech isn't the prettiest game (in fact, it photographs rather poorly most of the time), the sense of scale still comes into play nicely. Even the smallest mechs tower over two-story buildings, while medium mechs tower over small mechs. And when the camera heads to ground level when a heavy mech stops into the scene, your gut will clinch up. While every fight, to one degree or another, can be a slow-going slugfest, there are also some fights that can turn on a dime. Sometimes cleaning off the board is a winning strategy. Sometimes you’ll barely get by. You don’t have to get 100 percent on every mission. Sometimes it makes more sense to nail the objective and get out alive rather than stick around to face reinforcements. I don't exactly know what that's like, though. Back armor is weaker than front armor, so turning tail never sounded like a great idea to me. If the pacing sometimes feels off, you’re right. You spend week after week of in-game time, watching mechs getting repaired in the mech bay. Entire 30-day financial reports go by without a drop of income to keep your accounting in the black. You could be orbiting planets with good, well-paying jobs but not be able to do jack squat about it if, for instance, your mechs and/or mechwarriors are a wreck. That’s the point. 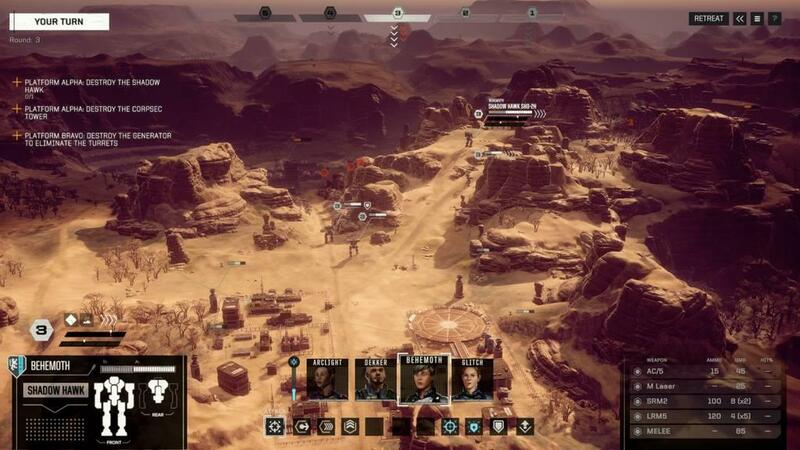 That tense feeling in your shoulders as you watch the weeks tick by because you committed your forces to a losing objective, or even if you just caught a run of bad luck, forces you to sit and think about what you did, commander. Losing isn’t fun in BattleTech. But losing is half the battle. Try to keep your sense of humor intact. It’ll prepare you for the script’s occasionally dry wit and also its quiet solemnity. There’s a respect for the chaos of the battlefield, and for the dignity of the command room, and for the space between them. Don’t get me wrong, though. BattleTech can get dirty. 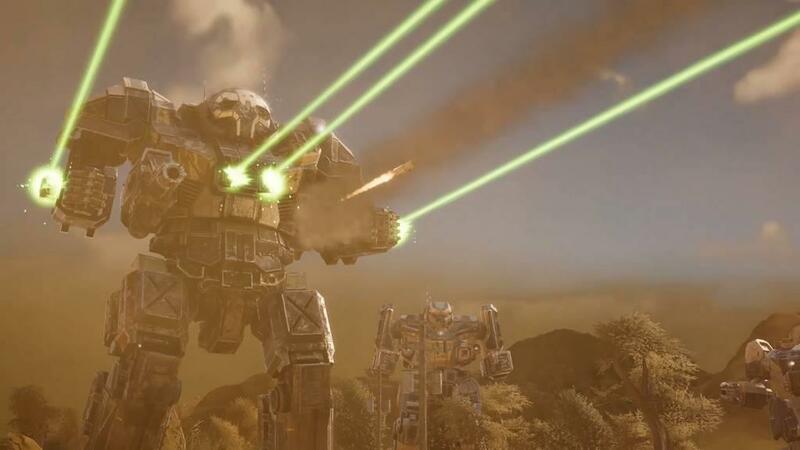 There are few things better than having three mechs standing in a circle, punching and kicking each other to death. Some of my favorite battles ended exactly that way. One minute you’re dealing death blows to an overwhelming enemy force. The next you’re catching a beat down from the end of the fiscal month. 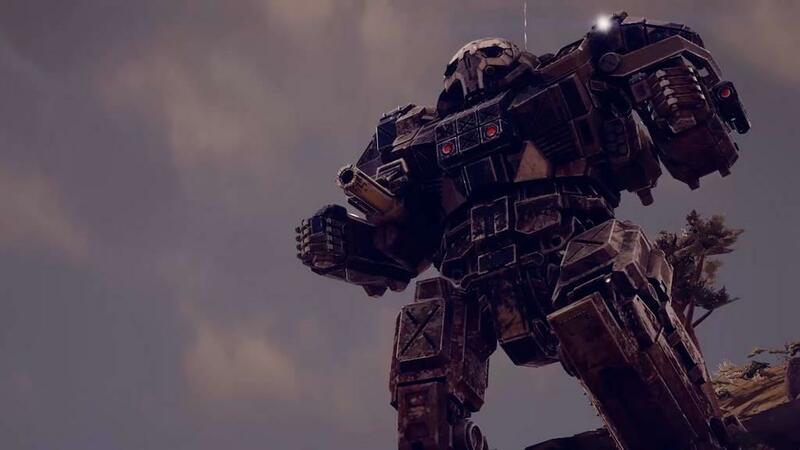 BattleTech strikes a thoughtful balance between terror and tedium. 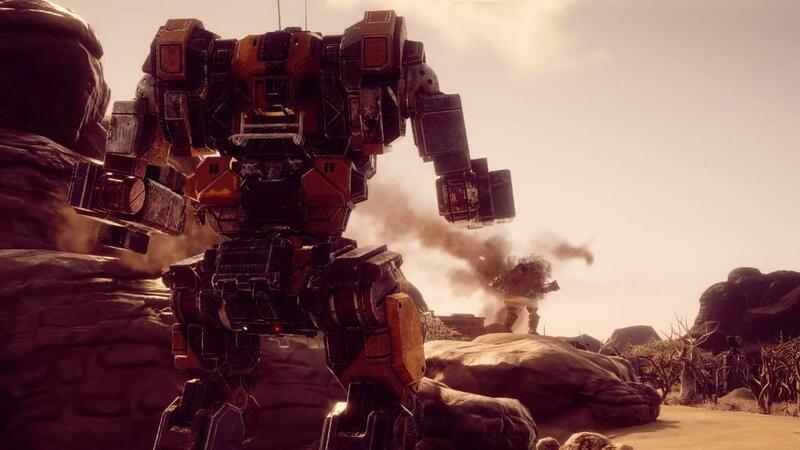 And whether you’re watching the rockets’ red glare as a pack of missiles streak across the playing field, or you’re watching your checking account slowly hemorrhage the last of the beer money, BattleTech’s sometimes tortuous pace makes for some of the most perfectly paced military drama you’ll encounter this year.